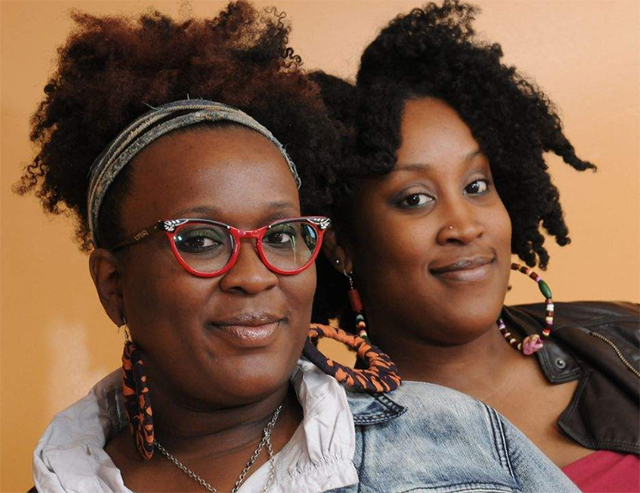 Charise and Jennifer Thomas have taken on a big job trying to educate and convince black women to wear their natural hair. They both believe African-American hair isn’t something to be tamed, weaved, or ironed into submission. Through a number of Naturally Flyy natural hair meetups, the Detroit sisters encourage black women to embrace their hair’s natural texture. Their aim is to offer the practical and social support needed for black women to step out with confidence, and just be themselves. The two sisters started holding the meetups every couple months and eventually moved across Lahser to Artist Village as the crowd grew to more than 400 people gathering for support, camaraderie, vendors and styling demonstrations.